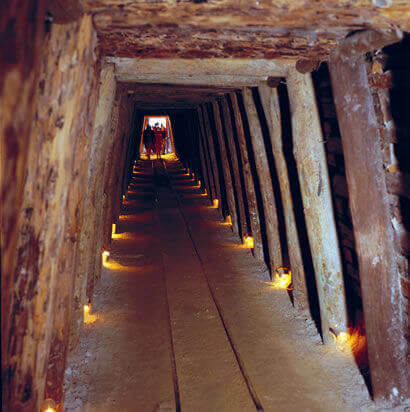 Buried Rivers of Gold Heritage Trail | Business & Tourism Creswick Inc. Welcome to the Buried Rivers of Gold Heritage Trail. Business & Tourism Creswick Inc. has applied to the Victorian State Government for a grant to upgrade the Trail and replace the existing signage. The upgraded Trail will identify approximately 20 sites throughout North Creswick, Ullina, Smeaton and Kingston. These sites tell the story of the deep lead mining and its impact on the landscape and social development of Creswick and will include the Australasian No. 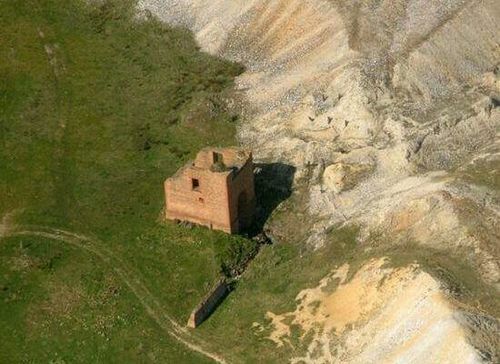 2 Mine as the first site. Of the selected “stop points” some will be displayed as more significant examples of mining excellence and/or historic relevance to the period such as the Madam Berry, Wheelers Bridge, Anderson’s Mill, Smeaton and Kingston townships. Other stops include locations of extinct towns, views of surrounding volcanoes, identification of mine mullock heaps, and provides for an interesting ride or drive through the scenic agricultural area along the route. 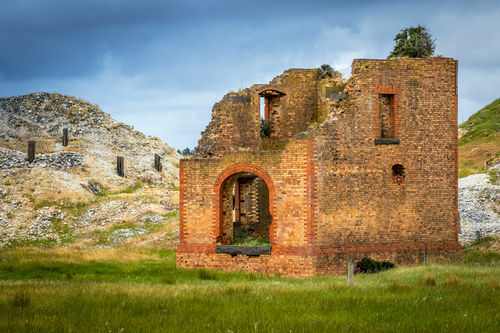 The Trail is of importance for visitors as the Creswick goldfield is one of only a few intact goldfields left in the world and showcases Creswick’s importance as the second richest deep lead goldfield in Victoria after Ballarat. The Trail will also feature as an important component of the proposed World Heritage listing of the Goldfields supported by Hepburn Shire Council. Through this Trail you will experience the sights and stories of the area's gold mining history and settlement. Many of these sites are registered by the Heritage Council, Victoria. From the 1850s through to the early 1900s the area to the north of Creswick was the site of extensive pastoral and gold mining activity. Gold fever struck Creswick early, with massive alluvial mining operations in all the gullies and creeks. In the late 1850s Chinese miners re-washed the entire creek system in their search for gold. With over 250 employees, the mines were one of the largest industrial companies in the colony of Victoria. A deep lead is sometimes described as a 'buried river of gold'. It is the bed of a former river system which has been buried at some stage. Volcanic eruptions covered the rivers with a layer of basalt or eroded soil buried the watercourses under layers of gravel, sand, dirt and rock. Throughout this area, there are five different deep leads, each part of this river system boasting approximately 120 mine sites. The leads within the system include the Spring Hill Lead, Lewer's Lead, Australasian Lead, Hepburn Lead and the Berry Lead. Booklets outlining the Trail can be purchased for $2 from the Creswick Information Centre on the corner of Victoria and Albert Streets in Creswick. As part of the Trail upgrade, a new brochure is currently being developed. Sovereign Hill’s latest multi-million dollar underground exhibit called 'Trapped', tells the emotionally powerful story of the disaster that struck in the New Australasian No. 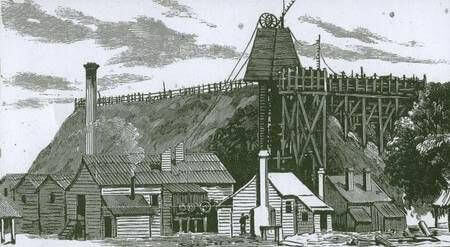 2 Mine at Creswick, near Ballarat, in 1882. This multi-sensory experience tells a remarkable story of bravery, of love and loss, and of the resilience of goldfields communities. Click here to visit the Sovereign Hill website.